Hide deals from seller "Taqueria Rancho Alegre"
Limit 1 per person and 1 per table. Valid toward any menu items. Dine-in or carry-out only. Promotional value expires 60 days after purchase. 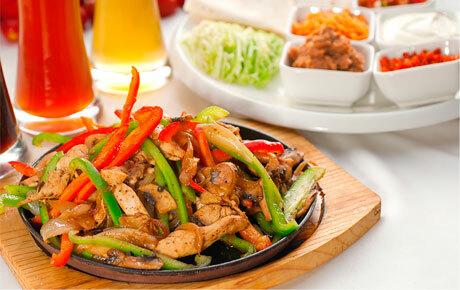 Liven up your next meal with 16% off Mexican food from Taqueria Rancho Alegre in Roselle ($12 value). This restaurant offers exquisite Mexican flavors at affordable prices. The Fernandez family opened Taqueria Rancho Alegre to provide their authentic Mexican food to the public. Though the restaurant has only been in business for two years, it has already made a name for itself as a popular stop for delicious Mexican food. Try the steak fajitas, a customer favorite, or sink your teeth into a giant burrito with beans, cheese and your choice of meat. Taqueria Rancho Alegre also offers breakfast and kids' meals to appease the entire family. A restaurant in Roselle that serves authentic Mexican cuisine and offers catering packages.